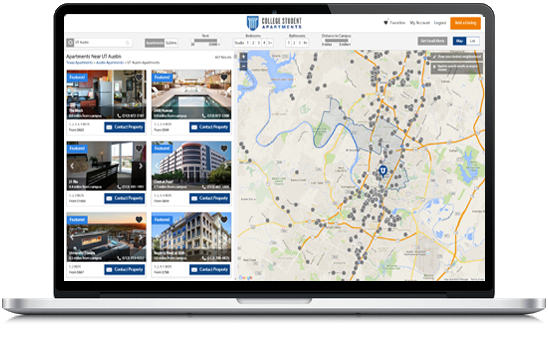 College Student Apartments has search tools that help college students find the perfect apartments, houses, roommates, and sublets. With the proprietary Smarter Housing Search, you can find student housing based on closest distance to campus, best price, and preferred amenities. College Student Apartments integrates directly with student property management companies to ensure students are presented with the most up-to-date available apartments and houses. Looking to rent to college students? Post your listings with us.